Leasing Available from $9.69 per month! With high quality output, an easy to use control panel and the option to use pre-cut or tractor fed paper, the 1325 is ideal for counter-top printing applications such as, tickets, receipts, forms and multi-part documents. The long life ribbon of the 1325 means fewer ribbon changes, less downtime and lower running costs. 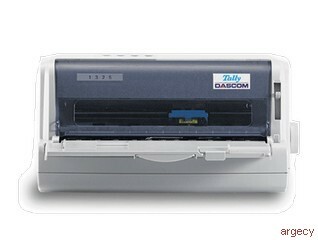 Note: NB: For OCR applications it is recommended that your readers are tested with print samples supplied by DASCOM prior to purchase. Paper is a highly variable medium and should be tested prior to purchase. The quoted consumable life is the average for the printer when used under normal operation conditions.